Tuesday is a workday around here. I quilted this sweet baby quilt for a customer today. 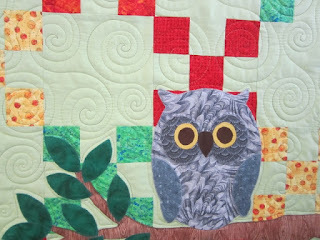 Here is a detail of the owl and the quilting. I stitched around his eyes and wings so he would not get too puffy. Spirals were used around the background area. It is a great baby quilt. Today is also my husbands Birthday. I asked what he would like for supper and he said pie. 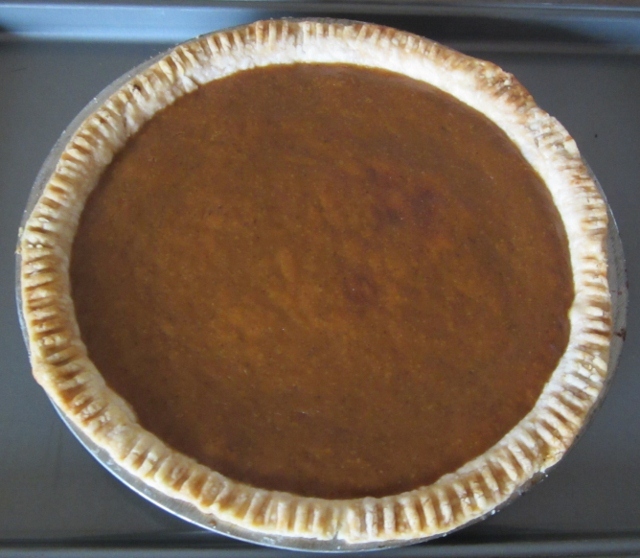 So I made pumpkin pie. I also made another big batch of pasta sauce as the tomatoes are ripening quickly now that they are in the house. The news says we are to get snow tonight, but it will melt. My Bee group was planning to meet today but many canceled. Now our next meeting will be close to Christmas. 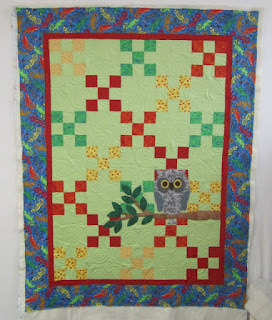 The quilting looks great - an adorable baby quilt.